A complete range for cutting without disrupting the structure of the material to control. 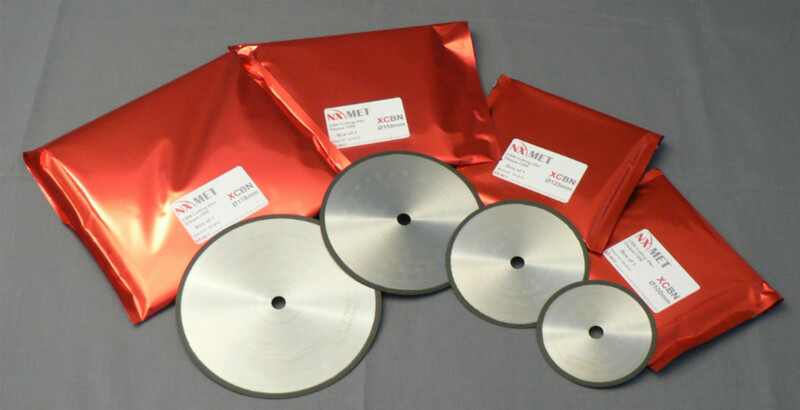 Metallic or resin bond discs for precision cutting of hard and very hard materials. Cooling liquid XAR4 with anti-rust, adapted for all cutting machines on the market. Cutting fluid XACF, with higher lubrication for micro-cutting machines and cutting with diamond or CBN discs. Antiseptic liquid XAS2, to avoid possible bacterial growth in cooling tanks, particularly in hot weather. Dressing stones specially designed for cleaning and dressing diamond and CBN discs. These stones can regenerate worn disks and restore their cutting power.